Why Get an Adjustable Bed? Let’s begin by discussing how an adjustable bed can actually help you sleep better. You probably aren’t interested in choosing a smartbed until you are sure it will be able to help you. Have you ever fallen asleep leaning back in a recliner? There is something about reclining that is really comfy and makes it easy to sleep. An adjustable bed frame allows you to raise up the head of your bed as much or as little as you like, to get that comfortable leaned back feeling, which makes it easier to fall asleep and stay asleep each night for the recommended 7-8 hours. This slightly elevated position also helps reduce snoring and acid reflux problems and can even reduce certain types of back pain. If you are sick, being propped up a bit can help you breathe better. This does not happen with a traditional bed that keeps you perfectly flat. If you want to customize how flat or vertical your head is, you need an adjustable bed frame and mattress. The Nectar adjustable bed is one of the best options available. If you are interested in an adjustable bed, you may find that they can be a little pricey. Some top of the line options can run several thousand dollars. Fortunately, the Nectar is one of the most affordable options when it comes to adjustable beds. Here’s what it costs for the different sizes. Compared to many of the big brands this is actually a decent price. Keep in mind that this is just for the bed, and you will also need an adjustable mattress (which you can get through Nectar or any other store), but even with that added cost, it is still less than most competitors’ beds. What really makes the Nectar such an appealing option is all the features you get for the low price. You get a wireless remote with the bed that allows you to control exactly how you want the mattress. One setting lets you prop up your head and torso to be more upright. If you are only slightly propped up, it is a great position for sleeping. A little more inclined is a great position for watching movies before bed. Even more inclined gives you a great position for reading in bed. You are also able to prop up your legs however much you want, too. Sometimes having your legs elevated can help relieve stress and pain after a long day at work. The remote allows you to control everything exactly how you want and even program in three different settings to easily switch between them. For example, you can have a setting each for watching television, reading, or finally going to sleep. Before you program your own favorite positions, you can try out some of the presets already installed. One option is called “TV” which gets you into a comfortable reclined position for watching TV. There is also an anti-snore setting that will lift up your torso and raise your legs to help reduce snoring and help you sleep peacefully. Another added feature is a small flashlight on the end of the remote in case you need to get up in the middle of the night to go to the bathroom and don’t want to turn on the lights. A nice massage after a long day can definitely help you relax. The Nectar has a three-zone massage feature, simply meaning there are three sections that you can control separately. Maybe you want a full body massage, or maybe you would prefer to just have your legs and feet massaged after walking all day. If you have a headache, only doing the zone with your head may be helpful. You can choose however you want to be massaged. Or if you don’t want a massage, you don’t have to get one. When you press the massage button, it will run for 15 minutes unless you turn it off. This is a great way to relax immediately before falling asleep. Studies have shown that your sleep position matters a lot. Certain positions can cause snoring, wrinkles, and leave you tired during the day. Other positions can help you sleep better and feel refreshed every morning. Based on these studies, the Nectar bed has one preset called “Zero Gravity” which is supposed to be an ideal sleeping position for many people. It reduces pressure on key body parts and improves circulation to help you de-stress and fall asleep quickly. It is obviously not zero gravity … you won’t really feel like you are floating. But it’s as close as a bed can get! Have you ever laid in bed on one side for a long time until you are uncomfortable … just because you’re on your phone and it is stretched out and plugged into the wall? Then once your phone is charged you can go back to being comfy. You won’t have that problem anymore! One of the most popular high-tech features of this adjustable frame is the two USB ports directly on the side of the bed. No more tangled cords piled up on nightstands. No more stretching to plug your phone into the wall in the dark. No more laying in an uncomfortable position just so you can use your charging phone. Polls show that over half of Americans stream movies in bed. Now you can easily plug in your phone, laptop, or other device and use it in bed as long as you want. Then just switch the settings to a more comfortable position for sleeping and you are good to go! Adjustable beds are not like traditional ones with a gigantic mattress and heavy frame. When you order the Nectar adjustable bed, it will be delivered to your house in a box (or multiple boxes depending on if you get the split king option). Then you will need to take everything out and assemble it. Sounds complicated, right? Actually, this is one of the easiest beds to assemble on your own. You don’t even need any of your own tools, and assembly doesn’t take that long. All you need to do is screw the legs into the bottom of the frame, attach the motor to the base, plug in the cords, and you are good to go! Most modern smart beds require a lot of assembly, set-up, and fine tuning to get them up and running. But the Nectar adjustable bed can be ready to go within a matter of minutes, making it by far the easiest adjustable bed to assemble. Hopefully, now you understand a little better what an adjustable bed is and how it can be beneficial for getting a good night of sleep. There are many adjustable beds available out there, but the Nectar is a well-balanced option. 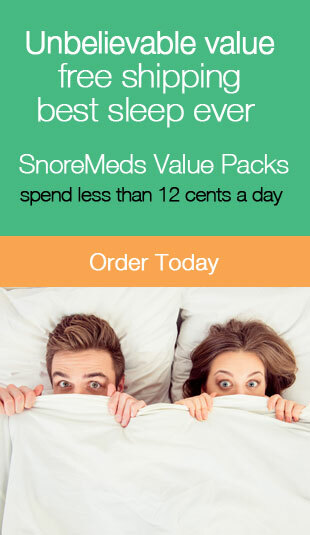 It is one of the most affordable options but is packed with features and will definitely help you get more sleep and reduce snoring. 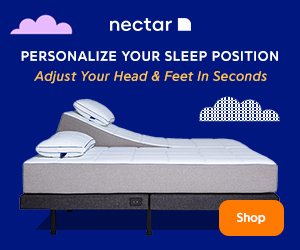 If you are on the fence about trying an adjustable bed, you may be interested to know about Nectar’s 100-day trial. They will ship it to you so you can test it out for 100 days. But changing your bed is only one trick to sleeping better and eliminating your snoring problem. Visit our website to see how a new bed paired with an-anti snoring device can dramatically make each night more restful! Sleep deprivation can lead to poor performance at work, feeling tired all day, and in many cases even result in car accidents. It is important to get enough deep sleep each night, but how can you get more sleep? One option is to get rid of your old bed and replace it with an option designed to give you the best night possible. Adjustable bed frames are becoming more popular all the time, and Nectar is one company that makes an excellent and affordable option. But choosing a “smartbed” can seem like a difficult task if you are transitioning from a traditional mattress. How do you know what features you’ll use, how to actually use them, and how much it costs to upgrade your bedroom? If you don’t know anything about adjustable beds, don’t worry. Our review of the Nectar adjustable bed frame will give you everything you need to know.